2018 saw many natural disasters devastating areas of the United States. To enable disaster response organizations’ access to cloud services at the edge, even in the harshest conditions, we announced the launch of the AWS Disaster Response Program (AWS DRP). The AWS DRP team focuses on building strategic relationships with governments, non-governmental organizations (NGO), nonprofit organizations (NPO), and educational institutions focusing on disaster response. 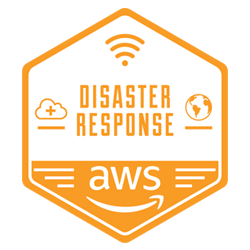 Additionally, the AWS DRP is developing a capability to deploy technical AWS staff during disasters and directly aid disaster-responding organizations in leveraging AWS technology called the AWS Disaster Response Action Team (AWS DRT). The group assists with installing ad-hoc network infrastructure that serves affected communities in times of disaster, while the primary infrastructure is repaired or rebuilt. For example, AWS deployed 15 AWS DRP volunteers to support Information Technology Disaster Resource Center’s (ITDRC) disaster response operations in North Carolina following Hurricane Florence, Florida following Hurricane Michael, and California following the wildfires. Response operations were led in communities impacted by Hurricanes Florence and Michael in the Southeastern United States and wildfire devastated Butte County in Northern California. The team assisted ITDRC’s efforts to provide technology continuity to those local communities affected such as assessing and triaging technical needs, installing and maintaining Wi-Fi networks in relief shelters, and installing computers in local schools. From reuniting families in a refugee camp with the help of AWS DeepLens and AWS Snowball Edge to processing, analyzing, and storing aerial imagery without an internet connection with DroneDeploy and AWS Snowball Edge, AWS technology can improve an organization’s overall resiliency. Using these technologies can help organizations avoid critical data loss, scale their website to handle the traffic leading up to an event, meet the increased demand spike on their call centers, or improve early warning systems and damage assessments. We worked with WeRobotics to develop and test a damage-assessment workload using aerial imagery in a disconnected environment. Esri’s ArcGIS and pre-incident satellite imagery were provisioned onto an AWS Snowball Edge. In the field, WeRobotics and the Peruvian Air Force captured post-incident aerial imagery from Unmanned Aerial Vehicles (UAV). 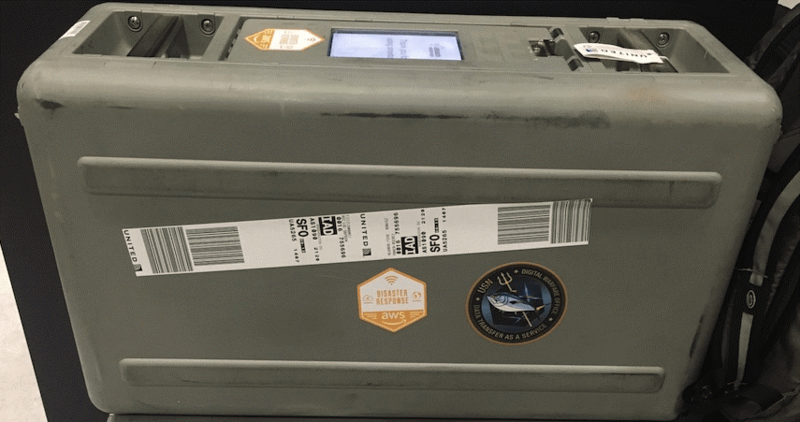 The goal was to test the ability to analyze post-incident drone imagery against pre-incident satellite imagery, assessing damage, locally on the AWS Snowball Edge without Internet connectivity. AWS DRP also collaborated with Humanitarian OpenStreetMaps Team (HOT) to host internal mapathons to digitally connect and map the most vulnerable places in the developing world. Mapathons help local and international Non-Governmental Organizations (NGOs) get the data they need to better respond to crises. We hosted one mapathon to support disaster response efforts following the flooding in Kerala, India and another supporting the Ebola Crisis in sub-Saharan Africa as part of AWS’s ongoing quarterly engagement. In total, AWS DRP engaged almost 300 AWS Volunteers, to provide more than 1,500 hours of hands-on engagement leveraging AWS technology. Learn more about the AWS DRP.